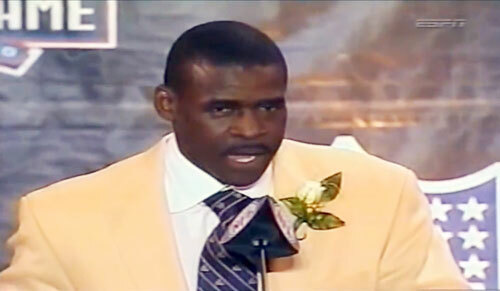 NEW WINDSOR, N.Y. — Retired New York Giants legend George Martin has been named the keynote speaker for the first ever Orange County Leadership Prayer breakfast scheduled to be held on Nov. 10 at Anthony’s Pier 9 in New Windsor. Limited sponsorships are still available for the event and registration is open for attendees. Orange County Executive Steven M. Neuhaus will host the event. Source: Hudson Valley News Network. HURST, TX — Pro Football Hall of Famer and former running back for the Dallas Cowboys, Emmitt Smith, will be the keynote speaker at Our Father’s Children annual fundraising dinner and auction on April 2, 2016. The fundraising event will be at the Hurst Conference Center in Hurst, Texas. Funds from the event will be used for upcoming camps, retreats and mentoring programs for children of abuse and neglect in North Texas. 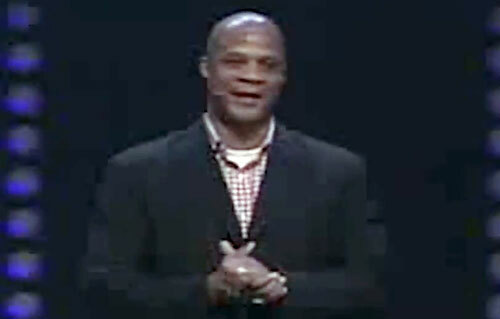 LYCNCHBURG, VA. — MLB legend and founder of Strawberry Ministries, Darryl Strawberry, will be the keynote speaker on Oct 12, 2015 at Liberty University. 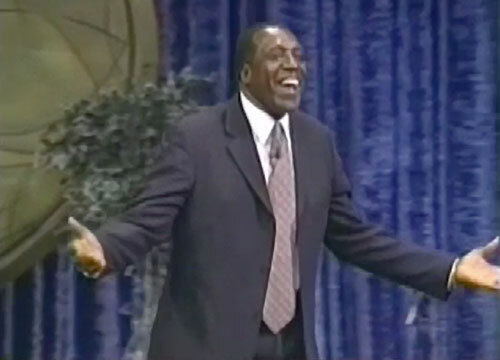 Darryls Message: Encouraging men to take their rightful place as leaders in the Kingdom of God. God has a plan and purpose for your life. Source: Liberty University. 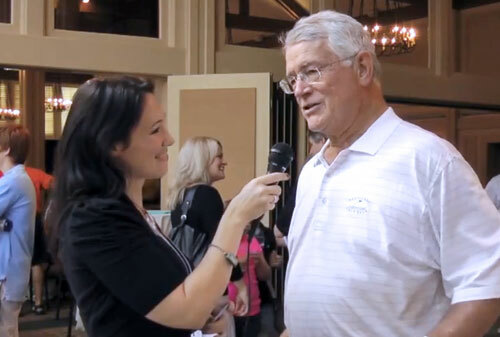 Photo shows Dan Reeves in an interview at the 2012 Rhubarb Jones Celebrity Golf Classic. TRINITY, AL. — Former University of Alabama coach Gene Stallings was the guest speaker on July 6th at the Family Baptist Church Freedom Sunday event commemorating the Fourth of July and the nation’s independence. Following the morning service, Stallings signed autographs and posed for photos with members of the Church. 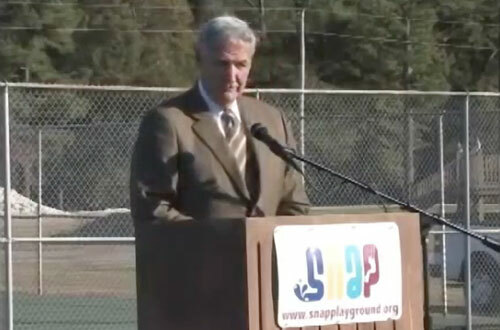 Photo shows former Alabama coach Gene Stallings speaking on November 2, 2008 at the Special Needs Accessible Playground (SNAP) of Morgan County in Hartselle, AL, dedicated in memory of his son John Mark Stallings born with Down’s syndrome. Mark passed away in August 2008. VONORE, TN. — Vonore Baptist Church has enlisted the talents of Hank Parker as their featured speaker at this years 4th Annual Sportsmans Outdoor Expo. 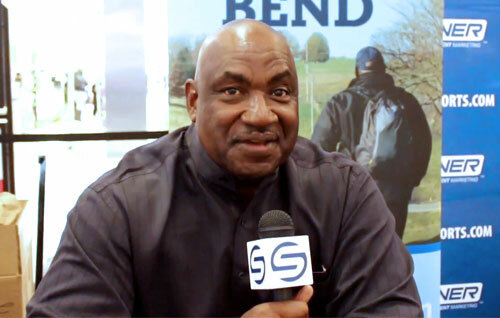 Hank, considered to be the “Michael Jordan” of the fishing industry, spoke on June 14, entertaining the audience while giving some “fish and hunting” tips. 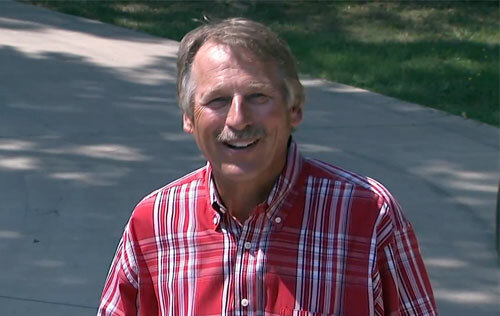 Photo shows Bassmaster, Hank Parker, during a segment of his Outdoor Magazine show. SPRINGFIELD, IL. — Former NFL quarterback and Heisman trophy winner, Tim Tebow, was the keynote speaker at the Greater Peoria Area Fellowship of Christian Athletes Home Team Banquet. 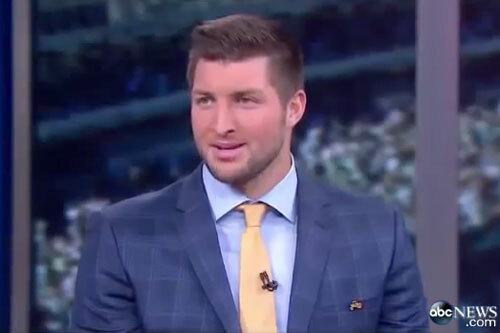 The event took place at the Prairie Capital Convention Center in Springfield Illinois on Sunday, May 4, 2014, where Tebow delivered an inspirational speech to a packed crowd. Nearly 2,000 people filled the main floor of the convention center and hundreds more were scattered in the mezzanine level to see him speak. Photo shows Tim Tebow speaking with ABC about his new book, his foundation and working at ESPN. STATESBORO, GA. — Former NFL coach, Dan Reeves, was the keynote speaker at a Fellowship of Christian Athletes Fundraiser on Thurs., March 20, at The Belle House in Statesboro, GA. Reeves, who coached 23 years for the Denver Broncos, New York Giants and Atlanta Falcons, spoke to local coaches, players and supporters where he encouraged players, as well as others in attendance, to live a Christ-like life both on and off the field. 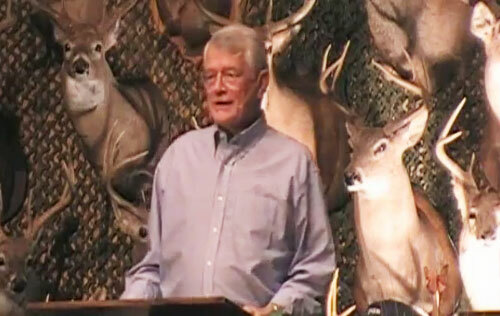 Photo shows coach Dan Reeves speaking at Liberty Baptist Church’s 2013 Sportsman’s Banquet.